Nisarg Chaudhari is a biologist at the Wildlife Institute of India stationed at Gir, Gujarat, working with the project 'Partnering to Support Gir Lion Conservation in Gujarat' funded by the Zoological Society of London and supported by Gujarat Forest Department. Currently, when India is struggling very hard to save many of its natural resources, the Banni grasslands can be named as one of the threatened resources. It spans 2617 sq km along the northern border of Bhuj taluka in Kachchh district at 23° 19’ to 23° 52’ N latitudes and 68° 56’ to 70° 32’ E longitudes (Joshi et al. 2012). It was first declared a Protected Forest in May, 1955, using the nomenclature of the Indian Forest Act, 1927. Grasslands can be found in all the eco-regions of the planet and are considered by some as being the drivers of biological diversity. Due to their immense regenerative power, they can sustain huge hordes of wild herbivores and insects, which otherwise would devastate our farmlands. In fact, in countries like India grasslands actually take off some of the pressure from cultivable land as most of the domestic animals graze on these lands. Several works have been carried out by researchers reflecting the grassland diversity in India. Bannni, in particular, was once known as Asia’s finest grassland and was also considered for the reintroduction of Cheetahs in India (Jhala 2010). Much research has been done on the flora, fauna, natural calamities, anthropogenic activities and the impact of invasive species on this grassland (Joshi et al. 2010, Shah & Somasundaram 2010, Vaibhava et al. 2012). The land pattern changes in any ecosystem are generally caused by natural factors or by anthropogenic activities. A better understanding of land-use and land-cover change is crucial for the study of global environmental changes (Mehta et al. 2012). Satellite technology has transformed the way we live, work and progress on our ‘pale blue dot’. Human beings are finding unconventional and innovative ways to monitor our planet, check and quantify changes, and repair damages, should any be observed. Nowadays, using GPS technology one can measure coordinates for a particular land class and undertake a more accurate classification analysis using remote sensing and GIS softwares. A group of researchers from India have used satellite technology to evaluate changes happening in the Banni grasslands over two decades. The entire area is more or less ﬂat and without any gradient. 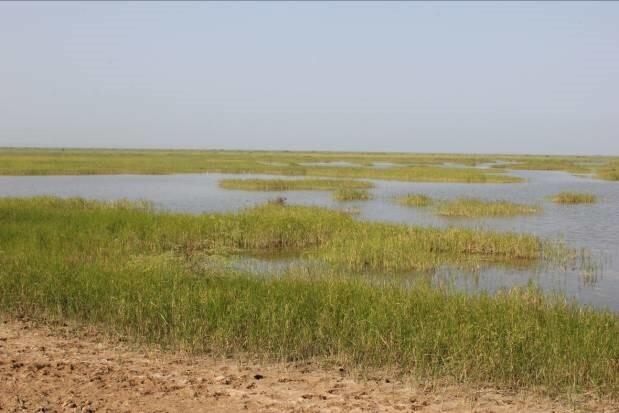 The southern part of Banni is an intervening stretch of salty marsh, known as the Little Rann of Banni, separating the Banni from the Kachchh mainland (Koladiya et al. 2013b). The team of researchers gathered data necessary for performing geographical processes using a GPS receiver from random sampling points on the site which included data for vegetation, soil type, altitude and slope of the area in various seasons. This data was transferred to a spreadsheet and overlaid on satellite images for ground-truth verification and accuracy check of imageries. This process is highly technical; it essentially means that the light band captured by the satellite and processed in the software as one particular 'class' of land use type has been verified by observation from the ground. Data collection in the form of GPS coordinates is necessary to improve the ground check with reference to the satellite image scenario. The GPS receiver can be calibrated to remove possible errors in the calculation of satellite signals to coordinate transformation. This truthing then assumes that the verification of that class will hold true within the entire image/area if the sample was correctly verified. The details of changes with accurate classified areas have proven to be very informative and important for making administrative decisions related to conservation. In the past 20 years the Banni grasslands have seen an increasing rate of vegetation loss and deforestation. The possible ecological imbalance that may be caused by this in the coming years is a major cause for concern. The major land patterns of the Banni region can be classified into five different categories which are shrub vegetation, water-bodies, salt marsh, other vegetation and barren land. 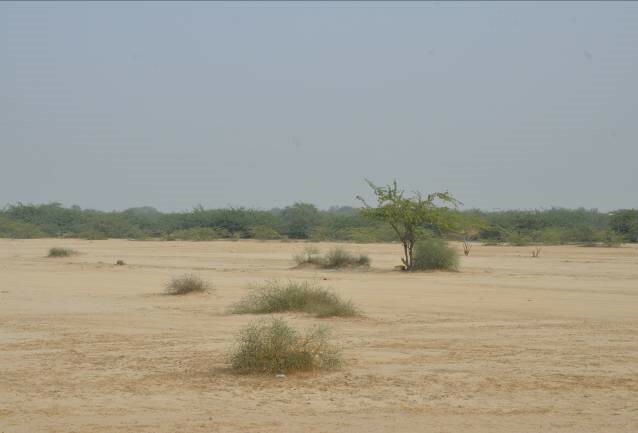 The classified areas for different land cover types shows a gradual decrease in the area cover of the Banni grassland, except for barren land. The area of barren land has increased from 42.86 per cent in 1989 to 68.56 per cent in 2009. Shrub vegetation and other vegetation areas have decreased noticeably by 9.91 per cent and 17.23 per cent respectively with an overall decrease in vegetation, which has mostly become barren land over the two decades. 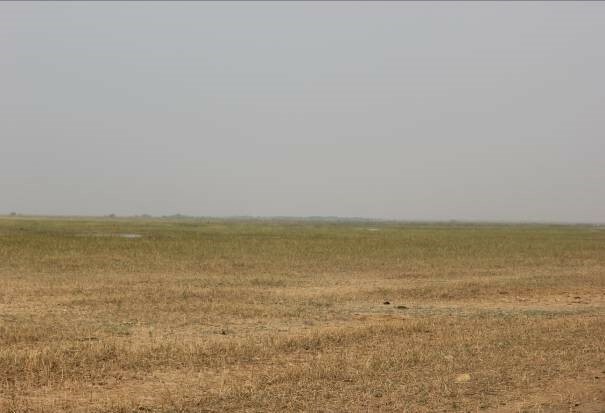 Water-bodies and salt marsh lands decreased by 0.86 per cent and 3.44 per cent which are the least changed categories in the land cover of Banni grassland (Mehta et al. 2014). The Banni region serves as the sole sanctuary for almost all of the wild fauna and flora of the Kachchh district. In all the scientific observations one finds that there are no updated citations on the technical approaches, thus it is hard to give more dynamic results with detailed models for the Banni grassland. At the same time, organizations should also study vegetation sampling and grazing impacts with the co-existence of Maldharies. Studies should measure the changing patterns over the years, which can give a better idea for a particular study area. One major possible benefit of the geo-informatics approach is that if high resolution imageries can be used by researchers with particular objectives to measure this matrix area it would facilitate more accurate future planning strategies. It is important to map the whole of Banni grasslands along with its surrounding areas with minute resolution imageries and classification of its plant species, so as to get a clearer understanding of the plant dynamics and the changing patterns over time with residential and encroaching species. This kind of research would require greater funding, which could be undertaken by the government or private organizations. There are a variety of studies that can be generated with GIS tools, which one may never even have been able to imagine earlier. Separate projects should be considered for Banni and its mapping so that it can cover a number of parameters with pre-decided time gaps, the results of which can support better decision-making. This article can serve as a wake-up call for researchers to work with a modern technological approach to apply on this region as well as its surrounding areas. Some spatial scale modelling can be also used for flora and fauna mapping with habitat suitability maps and bottleneck areas to be marked out for conservation. The Banni grassland also serves as a sanctuary to a number of faunal species and very little literatures is as of now available on this. Fauna mapping can also be done by camera traps and GIS modelling for spatial distribution, dispersal and living habitats. Champion, H.G. and S.K. Seth. 1968. A Revised Survey of the Forest Types of India. Nasik: Govt. of India Press. Dibadghao, P.M. and K.A. Shankarnarayan. 1973. The Grass Cover of India XII. Jhala, Y.V. 2010. Project Cheetah, Wildlife Institute of India. New Delhi: Ministry of Environment and Forest. Joshi, P.N., V. Kumar, M. Koladiya, Y.S. Patel and T. Karthik. 2010. 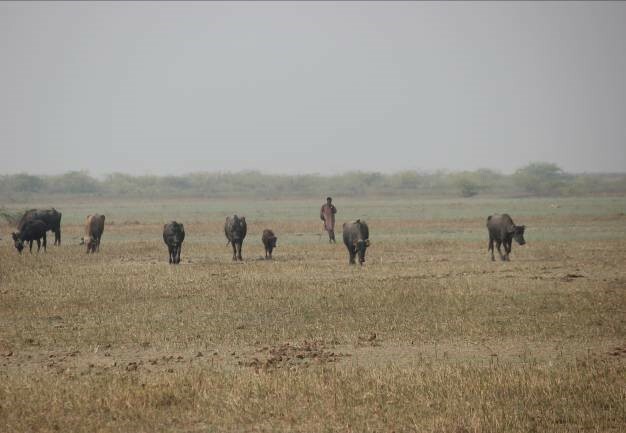 Local Perceptions of Grassland Change and Priorities for Conservation of Natural Resources of Banni, Gujarat, India 4.4:549–56. Koladiya, M.H., N.B. Gajera and V. Vijaykumar. 2013b. Status, Diversity and Distribution of Avifauna in Banni Grassland of Kachchh District. International Journal of Research in Biosciences 3:43–47. Mehta, A., M. Sinha and R. Chaudhary. 2014. ‘Evaluation of Land Cover Changes in Banni Grassland using GIS and RS Technology: A Case Study’. Bulletin of Environmental and Scientific Research 3.4:18–27. Vaibhava, V., A.B. Inamdar, and D.N. Bajaj. 2012. ‘Above Ground Biomass and Carbon Stock Estimation from Prosopis juliflora in Banni Grassland Using Satellite and Ancillary Data’. The 33rd Asian Conference on Remote Sensing, Nov. 26–30, 2012, Pattaya, Thailand. Online at http://a-a-r-s.org/acrs/administrator/components/com_jresearch/files/pu… (viewed on October 31, 2016). Whyte, R.O. 1964. The Grassland and Fodder Resources of India. New Delhi: Indian Council of Agricultural Research.